Get your complexion primed for perfection. 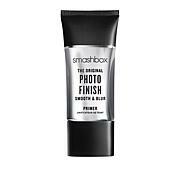 This mattifying face primer is specially designed to help you create the perfect canvas for all your makeup designs. Ingredients: Water, Dicapryly Ether, Caprylic/Capric Triglyceride, Hamamelis Virginiana Flower Water, Cetearyl Alcohol, Coco-Caprylate/Caprate, Glyceryl Stearate, Cetyl Palmitate, Nylon-12, Glyceryl Stearate Citrate, Microcrystalline Cellulose, Salix Nigra (Willow) Bark Extract, Oryza Sativa (Rice) Starch, Benzyl Alcohol, Polymethylsilsesquioxane, Potassium Cetyl Phosphate, Phenoxyethanol, Simmondsia Chinensis (Jojoba) Seed Oil, Xanthan Gum, Fragrance, Sodium Dehydroacetate, Cellulose Gum, Lactic Acid, Tocopherol, Sodium Phytate, Maltodextrin, Punica Granatum Extract; May Contain: Iron Oxides, Mica. Works great! Looks like a concealer (tinted) but seems to go on clear. Love the korres products! I will buy this again. 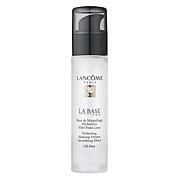 It is so difficult to find a face primer that does not contain dimethicone! This one has terrific ingredients (and I am very particular about that) and does a great job! Love it! 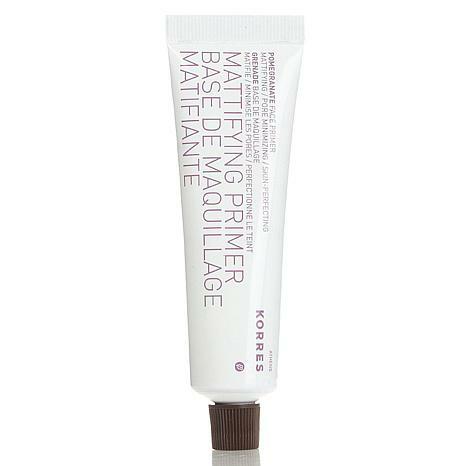 If I was not reading the label...I would say there is an error on the word MATTE ...This primer deliberately places an EXTREME SHINE on your face--how disappointing for Korres!! 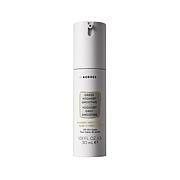 I was probably too excited to try this primer because I had heard from a lot of people that Korres is an incredible brand. Which is probably is- it's just maybe that I need to try something else from the brand because this primer didn't work for me. I put it on and it smells nice and feels great. But, not only did my pores look more accentuate, my skin broke out in a rash on my cheeks. Returning it sadly.